A goal for reunion organizers who expect extended family is to have people talking and enjoying themselves as quickly as possible because there “is so little time to do it.” Even some adults find it hard to strike up a conversation. 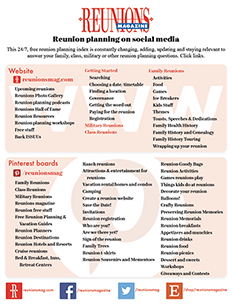 Reunion committee members should circulate, say hello and instigate conversations. In no time, everyone’s talking and having a good time. Still some members may be uncomfortable or feel they don’t fit in. Give them a job. 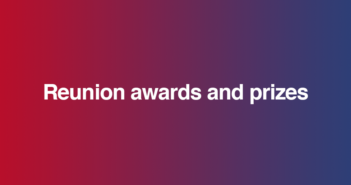 Ask someone to help hand out awards — any job that helps them feel involved. The person who facilitates ice breakers and introductions at your reunion must be enthusiastic and able to sell everyone on the fun to follow. One family asked the oldest generation to introduce themselves, their families and share special events that occurred since the last reunion. 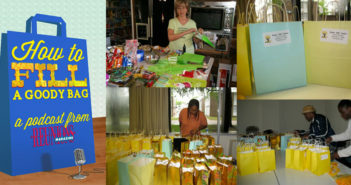 Then, letters are read and pictures shared from members who could not attend. Karen Robertson, California, BROLRA Family Reunion, suggests an icebreaker where each person writes little known facts about themselves. The facts are listed on a paper and the object is to find the person who matches the fact and get their signature. People get acquainted and learn interesting information about each other. Or distribute a list of questions as members arrive. To get answers, they must circulate and talk to people. Suggest questions specific to your family. Include one question about each branch of the family so everyone can feel like an expert. This forces people to seek out distant relatives. These questions could cover current information like, “Who just got engaged in the Radtke branch of the family?” or “Who is retiring and moving to Arizona?” Include questions about family history. People will need to ask older relatives for answers or check the genealogy display. If some family members still speak in the family’s native language write a line or two tobe translated. Those who don’t speak the language must find those who do. Post photos of ancestors and ask members to identify them. Reva J. Moen, Eugene, Oregon, sent her family’s list of kudos. The Morefield Family Reunion salutes those who come the farthest; the eldest in attendance, who’s from a foreign country, one with the most children, one with the largest family. Bob Snyder’s Kauffman Family Reunion soon had strangers laughing together with their version of Whoppers. Each member in groups of five or six wrote four alleged facts about themselves — three true but hard to believe and one false but believable. Others in the group tried to identify Whoppers as lists were read. Points were awarded for people fooled or for every fact correctly guessed. Discussion of real and bogus facts continued throughout the reunion. 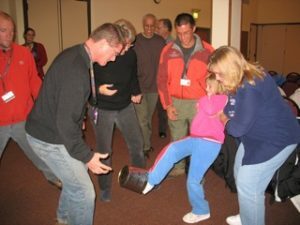 Mark Birdseye, formerly of the program staff at YMCA of the Rockies, Snow Mountain Ranch, teaching a “minute to win it” icebreaker at Family Reunion University. Circulate a roll of toilet paper and ask everyone to take some squares. After everyone has them, ask them to tell as many things about themselves as they’ve taken squares. If Auntie Erika took seven squares, you’ll learn seven things about her. Set the example yourself and start the telling. Ask everyone to stand in a circle facing in. Tell members each person is to say his/her name and pantomime a favorite activity or hobby. “My name is Patty.” Everyone says, “Hello Patty.” Then she acts out her hobby; piano playing, cooking, biking, golf. Everyone guesses until they guess Patty’s hobby, when her turn is over. When the game is finished, everyone’s name and a hobby are known. Scramble! Get everyone onto their feet and moving to form groups based on things you suggest. Everyone with blue or brown eyes. Once the group is formed, make another suggestion. Everyone who likes baseball or chess or Nintendo. Everyone whose favorite movie is Star Wars. Everyone who loves lasagna. Everyone who loves to camp or fish or hike. Before long lots of people know lots about lots of others! 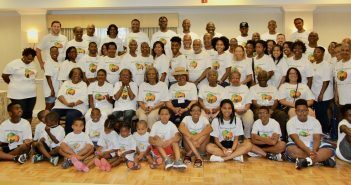 Doris A. Phillips, Indianapolis, Indiana, says the Phillips-White-Wilson Family Reunion gave their over 100 members each a get-acquainted list of thirty questions. Find someone who sings in the shower. Find someone who’s left-handed. Find someone who’s a Crazy Hat Judge (they wore ribbons on their name tags). Rosa Thomson asked every family group for This Is Our Life photos showing their home, yard, activities, sports, hobbies and pets. Her son made a display for everyone to get to know one another! The Deschaines tried a humorous twist on the “Identify the Picture” contest often done with baby pictures or portraits of ancestors. They took a series of torso shots of men holding beer cans next to their navels, to be posted the next year. Identification was not easy since some of the men lost or gained weight. At Karen Naedler’s Cousins Connection, everyone taped baby pictures to a huge poster labeled Beautiful Babies. The fun was trying to guess who was who and marveling at family resemblances. A sister-in-law spent hours making a word-find puzzle using all the cousins’ names. It was a tremendous hit. They also filled a fishbowl with peanuts for everyone to guess the numbers. The prize was a live “family tree” to be re-planted. Maurice and Florence Krueger, Mina, South Dakota, shared these successful Polt Family Reunion icebreakers. Ancestor Search. Takes 15 minutes and requires three volunteer judges and parent/child teams. Each team receives a list of ancestors and has fifteen minutes to collect signatures from ancestors’ descendants. Winners gather the most correct signatures. For children ten or under. Each girl gives her name, her mother’s and grandmothers’ names. Each boy gives his name, his father’s and grandfathers’ names. Don’t forget rewards for each child. Time-fillers. Ask everyone to face the person to the right and give him/her a compliment.